Severely-ill Yegor Semenkov, from Babruysk, cannot be left alone even for a moment. He is given everything he needs: he is fed through a tube and receives medication and care. 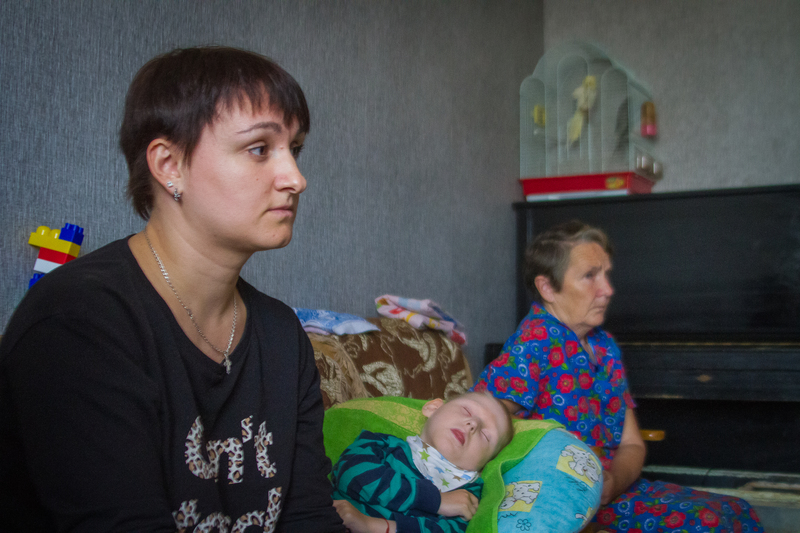 He has no idea of the efforts his family had to put in and how his situation has improved thanks to the pilot project of the Belarusian Children's Hospice NGO. Yegor is 5 years old. He is the second child in the Semenkov family and he has cerebral palsy and epilepsy. The boy cannot walk, sit or speak. He is a palliative patient; in other words, he can be helped but not cured. “Yegor was born on time and healthy. He weighed 3.6 kilos – 8.8 out of 10 based on the Apgar score [a method to summarise the health of new-born babies],” explains the boy's mother, Yelena Semenkova. “The problems started on the tenth day and have not finished until now. We tube-feed him four times a day. Sometimes I insert the tube into his mouth and sometimes into the nose with the help of this syringe,” says Yelena, showing the large 150ml syringe she has to use. Each portion of food has to be mashed through a sieve. Yelena cooks for him herself; she does not buy enteral food in jars as it is expensive. Yelena has researched the issue of nutrition thoroughly. She knows everything about the boy's needs, about his intolerances of some products and his level of blood protein, which is relatively good considering his condition. This is difficult to achieve for someone who is bedridden and tube-fed. 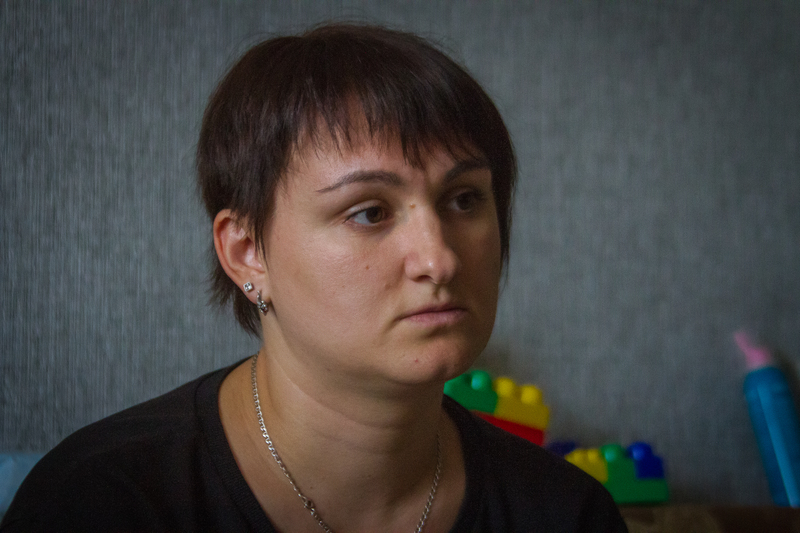 Yelena says that she “did not have a chance to cry and grieve, as nobody would benefit from it – neither Yegor, nor the whole family”, therefore she “has to keep [her] chin up”. Initially, it was very difficult for her, despite the fact that her husband Sergey is “the best spouse to have and supports [her] in everything”. “It seems to me that we would have continued living without knowing anything about our rights if it were not for Nastya. When she came into our lives, many things changed,” Yelena says. Anastasiya Borbut, known as “Nastya” for short, is a social worker at the Belarusian Children's Hospice in Babruysk. She started working at the hospice within the framework of this project. Such positions appeared in several towns in Belarus around the same time. It is impossible to overestimate the assistance of social workers to families. Yelena, for one, is convinced that it is thanks to Anastasiya's help that the family moved into a new apartment. 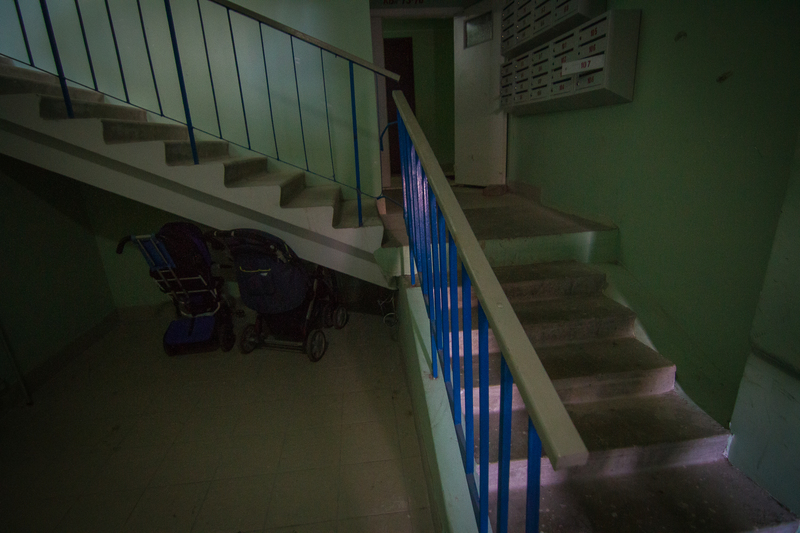 When the Semenkovs were put on an apartment waiting list for benefit recipients, there were about 2,000 families ahead of them. The line was moving slowly and it seemed that there were no other options. 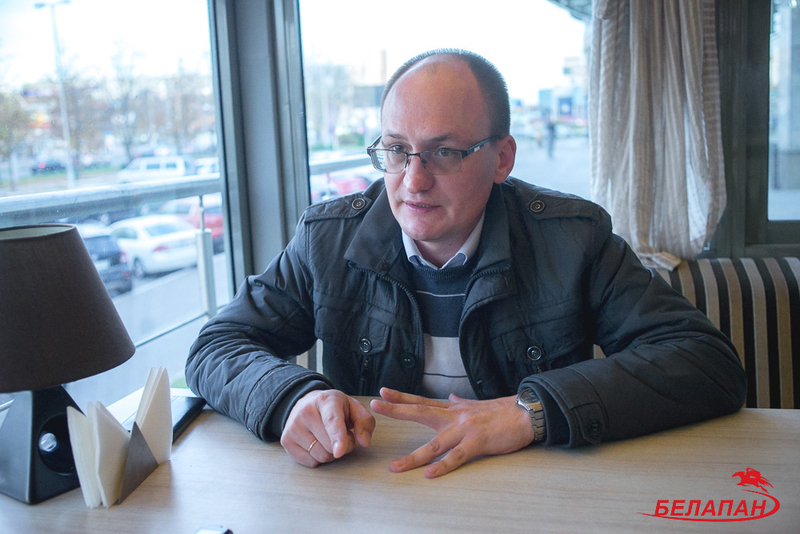 The manager of the project, Pavel Burykin, says that as a result of pleas made by social workers to the local administration, more than 10 families with disabled children have been given the opportunity to build their own accommodation or move into social housing. Burykin explains that, in practice, this is how the project works: The social worker learns about the family's needs and assesses, with the help of a lawyer, whether the needs can be satisfied based on the enacted legislation. If so, this is reported to the state authorities in order to exercise the family’s rights. Besides having a lawyer at the hospice who consults social workers, the staff have also attended training within the framework of the project. 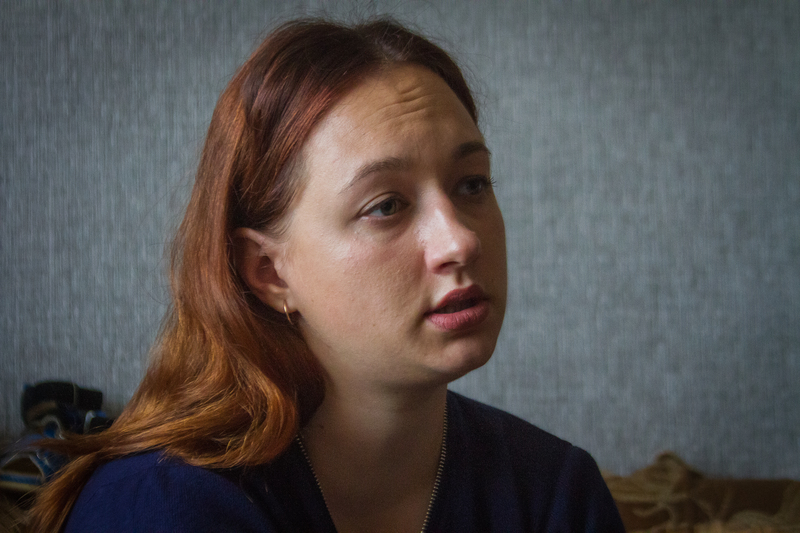 “We were taught how to address the state agencies and how to do so correctly,” recalls Anastasiya. Thanks to the project, 130 healthcare specialists, human rights activists, parents and activists have improved their skills in providing palliative care and protecting children's rights. As a result of their correspondence with the state authorities, the Semenkovs were given the opportunity to build their own apartment. Sergey received two loans for the down payment. The state provided the family with a subsidy that covered a third of the total cost of the new apartment and a concessionary loan for its construction. Now, the family pays around 400 roubles per month towards all loans and utilities, which is what they used to pay for their rent alone. Child benefits and benefits to take care of a disabled child amount to around 500 roubles. Even though Yelena says that this is quite a good amount, it still works out more expensive to look after a sick child than a healthy one. 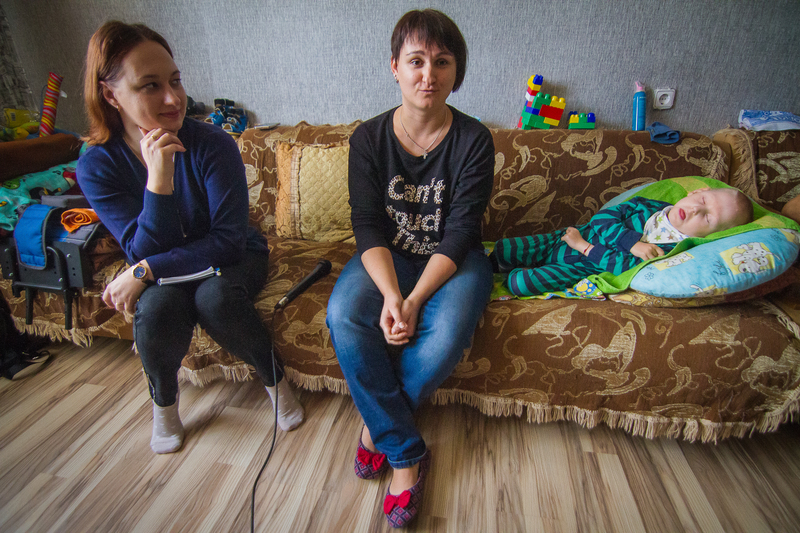 “There are drugs which are not registered in our country, but which Yegor needs to control his seizures. One woman brought them from Italy for us, they will last for some time. The boy takes a lot of medicine – three to four different drugs four times a day." Space remains something of an issue in the apartment. Masha is growing; she will turn eight in December. The cat (who was left by her previous owners twice and taken in by the Semenkovs), two parrots and turtles also need space. 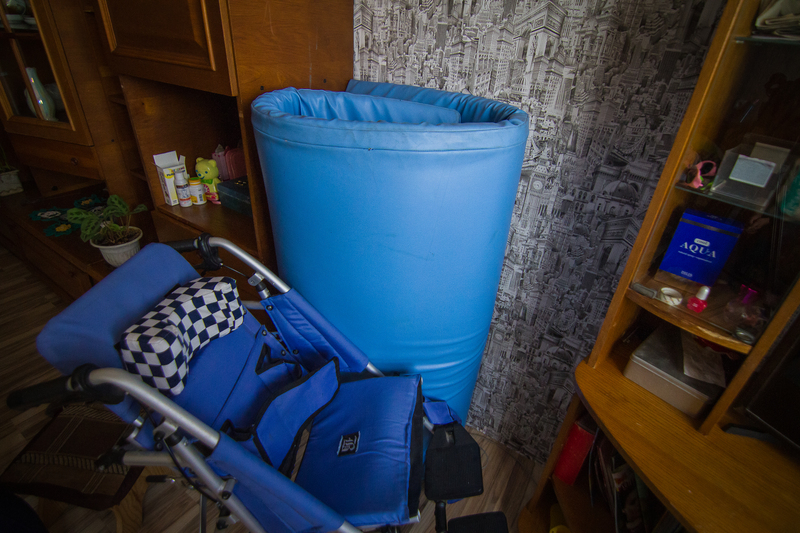 Special equipment for Yegor, such as special mattresses and a huge wheelchair, also take up a lot of space. 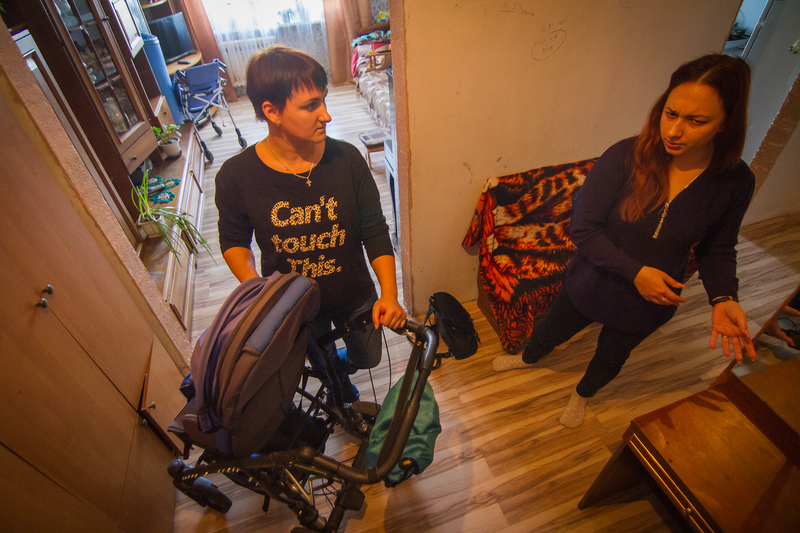 Yegor's wheelchair, purchased with money provided by charities, weighs around 20 kg. “We had a free wheelchair, but it was very heavy and impossible to lift and it was hard to put a child, who cannot sit on his own, in it. 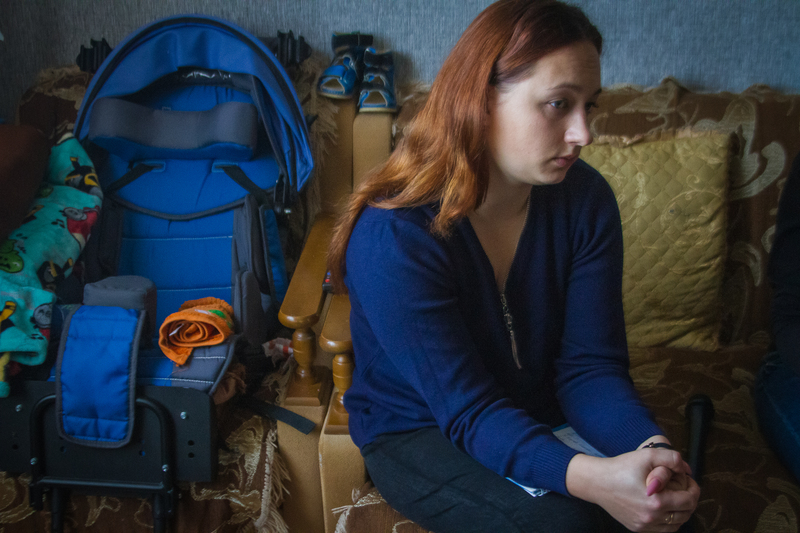 We had to turn it down and asked charities for money, [we] collected 1,600 roubles and bought the wheelchair,” explains Yelena. However, it is not easy to leave the building. 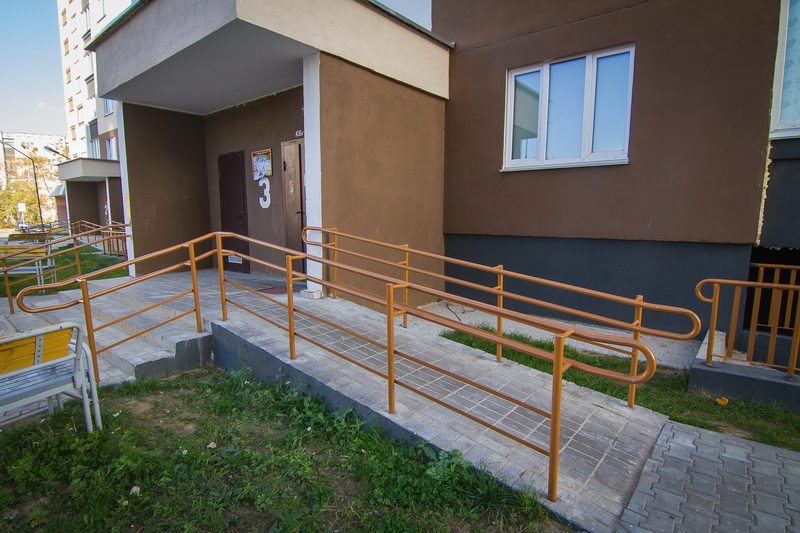 The building's architects did not really think about creating a barrier-free environment, and there are steps at the entrance that are an obstacle to wheelchairs. Yelena cannot go up or down with Yegor in a wheelchair. Once again, they found a solution with the help of Anastasiya, as they learned that the family had the right to ask for a ramp. 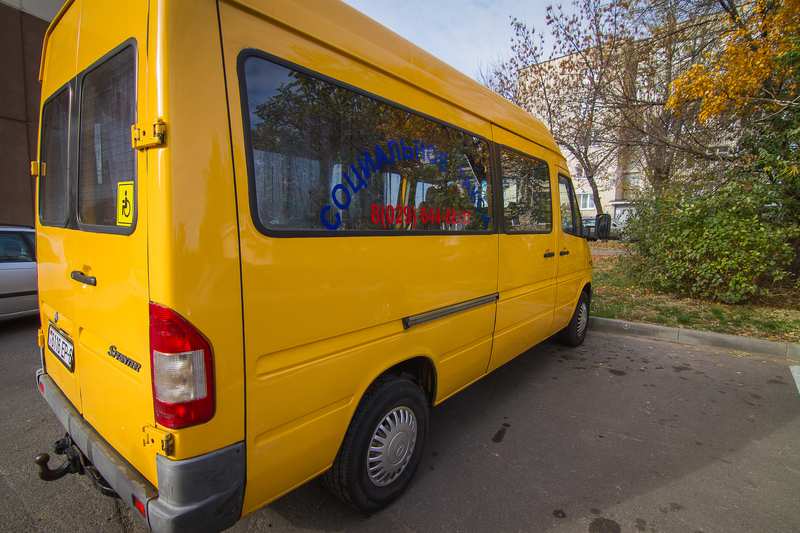 The “social taxi” provides services to the entire town of Babruysk for free. It was also there previously, but the services used to have to be paid for by disabled users. Now it is free, as the services are paid for from the local budget. It also has a special lift in which a wheelchair fits perfectly. An incredible amount of work had to be undertaken by Anastasiya for this to be possible. She researched the demand, which turned out to be very high – there are over 100 families in the town who have seriously ill or disabled children. There are also disabled adults who use wheelchairs. “My husband is away and I do not yet have a driving license. As a rule, the doctor from our district polyclinic comes home but we had to go see the orthopaedist in another place. So the social taxi is very convenient for us,” says Yelena. 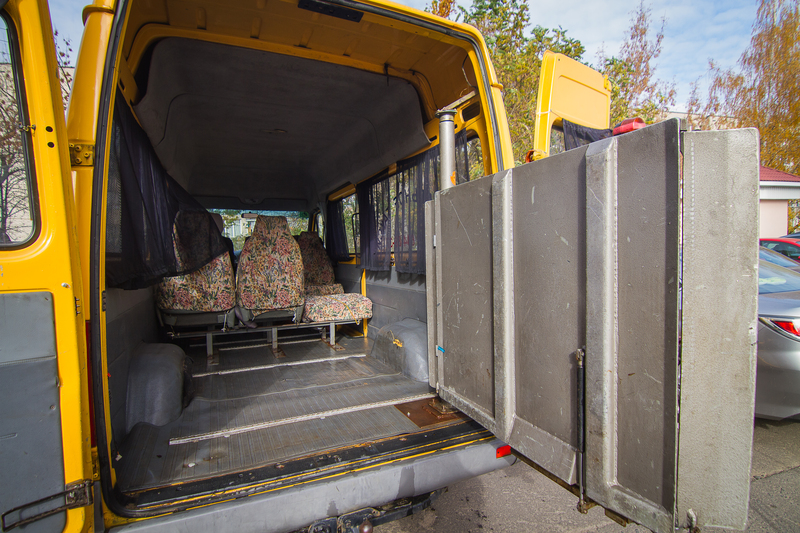 “Unfortunately, the social taxi can take people to other towns only for a fee. If a consultation with a doctor from the capital city is required, the family has to pay more than 100 roubles for the trip, at 0.3 roubles per kilometre. However, it is good that we have it [the option of using the taxi],” Anastasiya says. Substantial changes have taken place in the social security system and changed the quality of life of families with disabled children over the last five years. “I think I came to work for the hospice because I was in these families' shoes once as well. This organisation helped me a lot during the hardest time of my life. And now I want to make the lives of families with severely ill children better,” Anastasiya concludes. Pavel Burykin says that the goal is to improve the quality of life of such families, and this is what the Belarusian Children's Hospice and the pilot project are focusing on in particular. The hospice started the project in 2016 together with the British NGO HealthProm, with financial support from the European Union. In essence, the original goal of the project was to create an advocacy system for families with seriously ill children. “Our organisation provides integrated palliative care, which includes not only medical help. We employ nurses and doctors, but we also have social workers and lawyers. In order for the assistance to families to be comprehensive, we also had to hire lawyers. We view lobbying the interests of such families as a part of our work,” says Burykin. As he explains, the law guarantees certain rights, but in practice they are not implemented. The hospice has always worked on protecting their patients' rights. For instance, morphine pills are now available for children thanks to the efforts of the hospice. The same goes for medical ventilators. Their provision became possible only after the hospice got involved in the issue. Just five years ago, many children lived in intensive care because they needed artificial lung ventilation from time to time. Now this issue is solved, as ventilators are included in the list of technical means of social rehabilitation and can be provided to families. However, this process needs to be better established, and the hospice's social workers are ready to help with this too. Burykin notes that if one family can manage to have their rights realised with the help of a social worker, then the algorithm will work for others as well. “It is about systematic work, and a chance to change people's lives,” he concludes.